My friends on Facebook are quick to point out the latest bacon product to me. 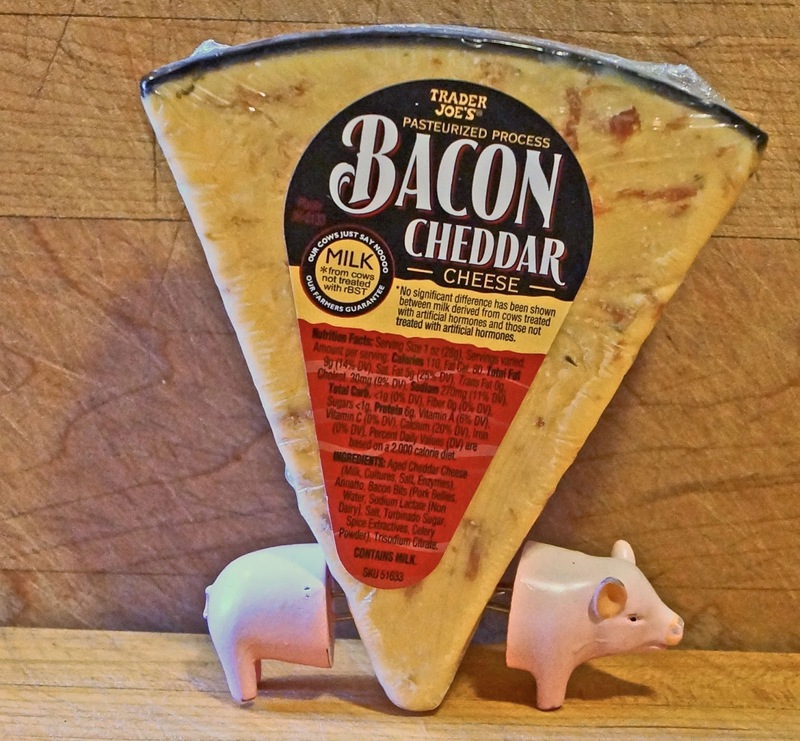 An old childhood friend Frank sent me the scoop on this latest find of bacon cheddar cheese. This bacon studded product is found at the market I like to refer as; "The store that has everything you've always wanted but do not need". Yes, you are right; Trader Joe's. I quickly went to TJ's and found our latest product to seize bacon fervor. This cheddar cheese is actually quite good. It is creamy, rich and has actual shards of bacon dispersed throughout. Here is the rub. The bacon flavor is faint. It is there but is not. Did that make sense? The creamy sharp cheddar flavor is prevalent and the bacon pieces add a texture component but the balance is off. 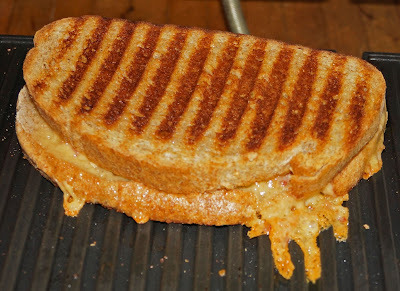 Do not get me wrong this is a very good tasting cheese and it made a mighty fine grilled cheese sandwich. It is just another bacon product to add to my list. Chris, This cheese is a very tasty on its own but it is no substitute for s good ole slice of bacon. Mr. Brown please stop cutting the cheese. GWH.